Daniel Whiting is Professor of Philosophy and Head of Department at the University of Southampton. Before taking up his post at Southampton in 2007, Daniel studied and then held a Lectureship at the Department of Philosophy at the University of Reading. He is presently a member of the Mind Association Executive Committee and a Fellow of the Higher Education Academy. In 2015, he was a Visiting Scholar at Northwestern University. Daniel lives by the beach in Pokesdown (in Boscombe (in Bournemouth)). He is married to Hayley, the Heritage Archive and Research manager for the Royal National Lifeboat Institution. They have two sons - Elliot and Stanley. In room 1037 at Avenue (building 65). Daniel has published in a wide range of subjects in philosophy, including epistemology, ethics, philosophy of language, aesthetics, philosophy of mind, and the history of philosophy. One theme which runs through much of this work is normativity - very roughly, the right and the good. Recent topics include: the nature of reasons; the distinction between subjective and objective reasons; the distinction between first- and second-order reasons; epistemic and motiviational constraints on reasons; norms of belief, assertion, and practical reasoning; epistemic value; and the evaluative testimony. 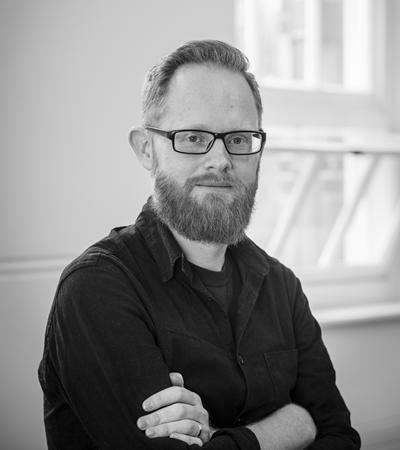 Daniel was the Principal Investigator on Normativity: Epistemic and Practical, a project funded by the Arts and Humanities Research Council. His Co-Investigators were Conor McHugh and Jonathan Way. Daniel would be pleased to hear from students seeking supervision on topics which fall within his areas of research interest. Way, J., & Whiting, D. (Accepted/In press). Reasons and guidance (or, surprise parties and ice-cream). Analytic Philosophy. Whiting, D. (2015). Knowledge is not belief for sufficient (objective and subjective) reason. Logos & Episteme, 1-9. Whiting, D. (2015). The glass is half empty: a new argument for pessimism about aesthetic testimony. The British Journal of Aesthetics, 55, 91-107. Whiting, D. (Accepted/In press). Truth is (still) the norm for assertion: a reply to Littlejohn. Erkenntnis. Whiting, D. (2014). Keep things in perspective: reasons, rationality, and the a priori. Journal of Ethics & Social Philosophy, 8. McHugh, C., & Whiting, D. (2014). The normativity of belief. Analysis. Whiting, D. (2013). It's not what you said, it's the way you said it: slurs and conventional implicatures. Analytic Philosophy, 54(3), 364-377. Whiting, D. (2013). The Good and the True (or the Bad and the False). Philosophy, 8(2). Whiting, D. (2013). Truth: the aim and norm of belief. Teorema: International Journal of Philosophy, 32(3). Whiting, D. (2013). What is the normativity of Meaning? Inquiry, 59, 219-238. Whiting, D. (2010). Particularly general and generally particular: language, rules and meaning. Logique et Analyse, 53(209), 1-16. Whiting, D. (2008). The use of 'use'. Grazer Philosophische Studien, 76, 135-147. Whiting, D. (2006). Conceptual role semantics. Internet Encyclopedia of Philosophy. Mchugh, C., Way, J., & Whiting, D. (Eds.) (2018). Metaepistemology. Oxford University Press. Whiting, D. (Ed. ), Way, J. (Ed. ), & Mchugh, C. (2018). Normativity: epistemic and practical. Oxford University Press. Whiting, D. (Ed.) (2009). The later Wittgenstein on language. (Philosophers in Depth). Basingstoke, GB: Palgrave Macmillan. Mchugh, C., Way, J., & Whiting, D. (2018). Introduction. In C. McHugh, J. Way, & D. Whiting (Eds. ), Metaepistemology Oxford University Press. Whiting, D., Mchugh, C., & Way, J. (2018). Introduction. In C. McHugh, J. Way, & D. Whiting (Eds. ), Normativity: Epistemic and Practical Oxford University Press. Whiting, D. (Accepted/In press). Whither higher-order evidence? In M. Skipper, & A. Steglich-Petersen (Eds. ), Higher-Order Evidence: New Essays Oxford University Press. Whiting, D. (2017). Don't take my word for it: On beliefs, affects, reasons, values, rationality, and aesthetic testimony. In E. Sullivan-Bissett, H. Bradley, & P. Noordhof (Eds. ), Art and Belief (Mind Association Occasional Series). Oxford University Press. Whiting, D. (2014). Reasons for belief, reasons for action, the aim of belief, and the aim of action. In C. Littlejohn, & J. Turri (Eds. ), Epistemic Norms: New Essays on Action, Belief, and Assertion Oxford, GB: Oxford University Press. Whiting, D. (2013). Nothing but the truth: on the norms and aims of belief. In T. Chan (Ed. ), The Aim of Belief Oxford, GB: Oxford University Press. Whiting, D. (Accepted/In press). Languages, language-games, and forms of life. In H-J. Glock, & J. Hyman (Eds. ), The Blackwell Companion to Wittgenstein Wiley. Whiting, D. (2010). Is there such a thing as a language? In W. Irwin, & R. B. Davis (Eds. ), Alice in Wonderland and Philosophy: Curiouser and Curiouser (pp. 107-121). (Blackwell Philosophy and Pop Culture Series). Hoboken, USA: Wiley. Whiting, D. (2010). Particular and general: Wittgenstein, linguistic rules and context. In D. Whiting (Ed. ), The Later Wittgenstein on Language (pp. 114-132). (Philosophers in Depth). London, UK: Palgrave. Whiting, D. (2009). Introduction. In D. Whiting (Ed. ), The Later Wittgenstein on Language (pp. 1-16). (Philosophers in Depth). Basingstoke, UK: Palgrave Macmillan. Whiting, D. (2018). Review of Veli Mitova (ed. ), The Factive Turn in Epistemology, Cambridge University Press, 2018. Notre Dame Philosophical Reviews. Whiting, D. (2009). Jeremy Wander's Robert Brandom. Philosophy in Review, 29(2), 146-147.